» Prepare yourself for the greatest of TRIALS! You asked and now we’re delivering. Trial of Champions prevailed in our poll asking which gamebook you’d most like to see next on your Fighting Fantasy Classics shelf. 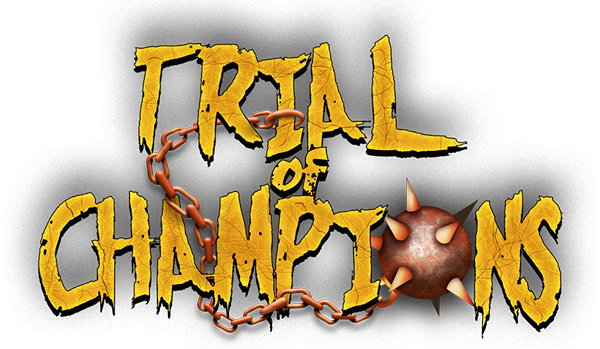 So we’re very pleased to announce that we’ll be releasing Trial of Champions Wednesday, July 18! Ian Livingstone’s Trial of Champions is the sequel to the beloved Deathtrap Dungeon. This classic Fighting Fantasy adventure sees you delve into the dread corridors of Baron Sukumvit’s terrible challenge for a second stab at glory. But beware! The Trial will be even more devilishly difficult this time as you begin your adventure having been captured and sold into slavery! With nothing to prepare you for this arduous adventure but your SKILL, LUCK and STAMINA, you must explore the deadly labyrinth beneath Fang. For only by triumphing in the Trial can you win back your freedom from Baron Sukumvit’s evil brother – Lord Carnuss. Find out from Wednesday, July 18 when you can download Trial of Champions on iOS and Android, with PC and Mac editions coming later in the week. Altered difficulty modes to accommodate the challenging mechanics of this spooky adventure. The dynamic Adventure Sheet has (of course!) been updated to include the Fear mechanic from the original book. 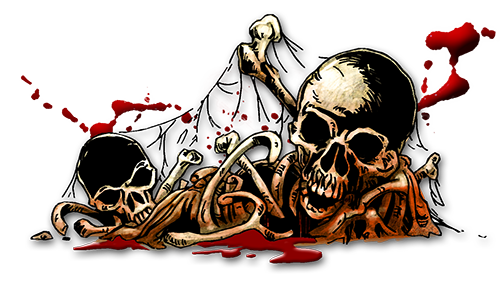 The Adventure Sheet now also supports a special ‘Knowledge section’ to help keep track of all the clues you will need to solve the mysteries of the House of Hell! Tim Sell’s original artwork, as well as coloured editions of each piece. An additional ‘Haunted Hallways’ ambient music track has been added to your collection of tracks. New audio sliders for music and SFX, allowing you to play with exactly the audio setup you desire. 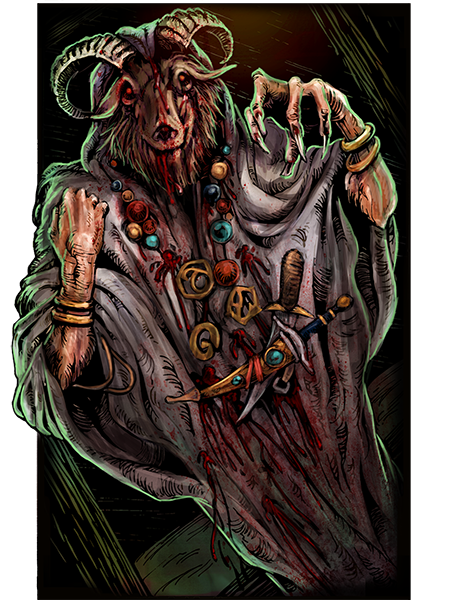 See you in the labyrinth, Adventurers!